Just when we thought it couldn’t get much worse for Browns fans, GM George Kokinis has been escorted out of the facilities in Berea, Ohio. 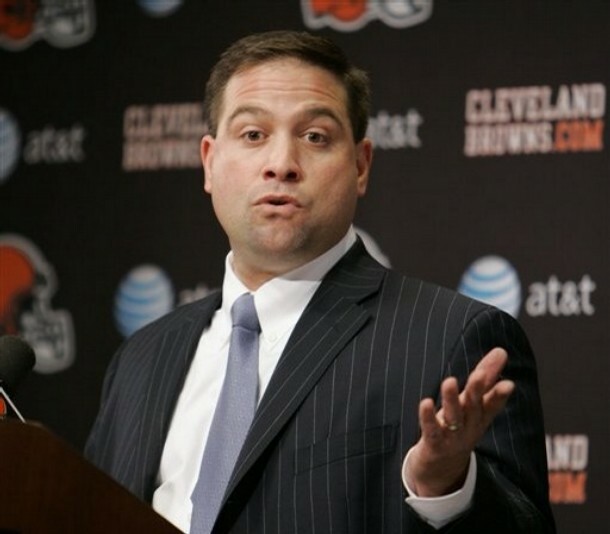 Reports coming in via twitter from WKYC in Cleveland as well as from the Cleveland Leader are confirming that George Kokinis is no longer the GM for the Cleveland Browns. Kokinis was hired from the Baltimore Ravens organization and had been with the Browns during Bill Belichick’s reign. He was let go sometime this afternoon. A replacement has not yet been named. If I were you Mangini, I would be watching your step. You are currently browsing the archives for the Eric Mangini category.